Are you ready to become a fully Qualified MII Mediator? 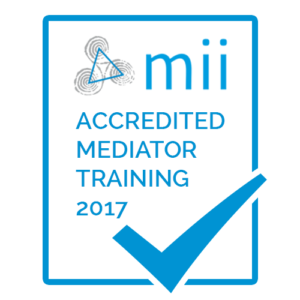 Our Mediation Training MII Accredited course training is designed for people who wish to become accredited mediators. Our mediation training course is designed to give you the skills, knowledge, understanding, and confidence to practice as a mediator. You will have the opportunity to conduct mock mediations, participate in group discussions, and you will learn all aspects of the mediation process. Our mediation training is nationally recognised and our trainer is a practicing mediator. This means that you will be able to benefit from real hands-on knowledge, understanding, and experience. 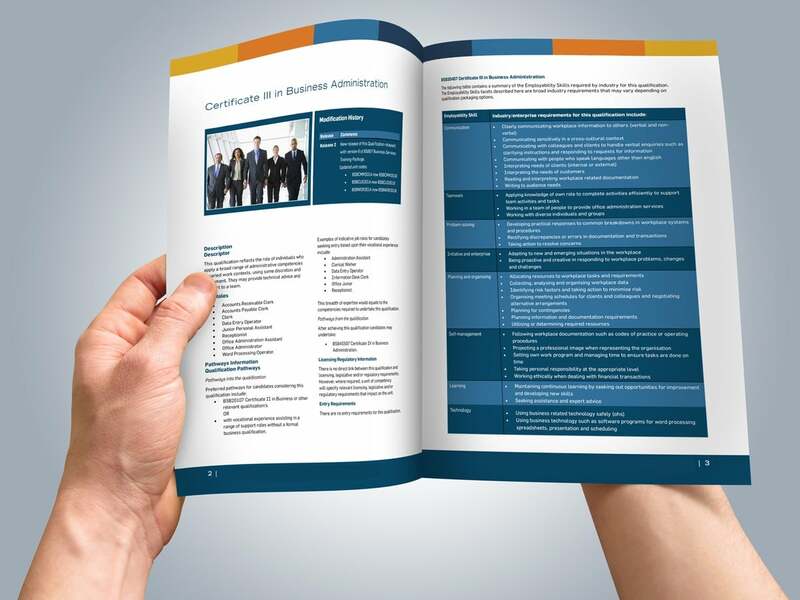 This course has been recognized as an MII approved training programme. Click here to view our Listing on the MII website. On completion of the programme, participants will be Certified Mediators. Mediators who have satisfactorily completed our MII approved training programme and successfully undertaken our MII approved assessment of their mediation skills may apply for Certified Member status of the MII. Apply annually for a Practising Certificate. Have their profile listed as Available to Mediate on the MII website if designated as available for private work, and in receipt of a current MII Practising Certificate. Receive updates and briefings on developments in mediation. Receive information about symposiums, conferences, CPD training and other events. Avail of reduced member fees for symposium, conferences and some CPD trainings. Attend AGM and any EGMs. Attend any member meetings of the MII including consensus building and sector meetings. Join a Sharing and Learning group. 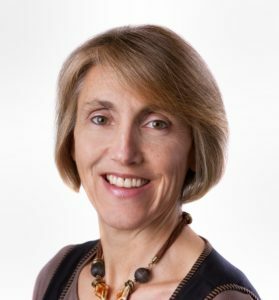 Mary has been a practising mediator since 2004 and is highly experienced in providing a variety of conflict management interventions including mediation, team mediation, facilitation, coaching and training. A former social worker and teacher, Mary has undertaken extensive training in conflict-related areas, is qualified to Practitioner Mediator level (M.I.I. ), Certified level (International Mediation Institute), Advanced Conflict Management coaching (Cinergycoaching) as well as being a trainer to accredited levels in these fields. Organisational & Workplace conflict: staff/ manager, peer conflict assessment and design of intervention strategies, conflict management coaching. Family & Community: mediation, conflict management, coaching and mentoring. Training:Approved trainer to Certified Level with M.I.I., CINERGY Conflict Management Coachin Training, Introductory Mediation Skills Traini, Designated Person Training, Anti-bullying Training. • Professionally arrange and run an effective formal mediation process for parties in a dispute. • Calmly hold an impartial and unbiased role when working with people in a conflict. • Rapidly de-escalate a conflict or heated interaction. • Listen in a way that enables people to get greater clarity about their own needs and interests. • Create a safe environment for parties in dispute to discuss their differences. • Facilitate disputing parties to move from destructive behaviours to constructive problem-solving. • Confidently handle another person’s strong emotions. • Mediate effectively with parties in dispute to help them find a win-win resolution to their difficulties. Role of the Mediator: key skills and qualities. Introduction to 6-stage mediation process. Context and application of mediation to workplace. Types of disputes, where it fits into the resolution process; how it relates to other relevant interventions. Preparing to Mediate, Pre-mediation: key issues, 4 key tasks in preparing parties. Case management process: Agreement to Mediate/Ground rules. When mediation is not appropriate. Developing questions around each key task. ‘Iceberg’ of conflict – self-reflection and analysis of a conflict situation. Types of conflict: cognitive & affective, constructive and destructive. Conflict styles Assessment – review and feedback. Key signs, causes and costs. Key purpose and tasks of Opening stage. Role in mediation and conflict management; listening for hidden ‘iceberg’ elements. Five-stage listening cycle: attend, invite, acknowledge, summarise, questions. Questions in mediation Types of questions, purpose in mediation, focus on uncovering underlying needs and interests, focus on information gathering. De-escalation skills, ‘high’ conflict behaviours/ personalities. Types of power and power-balancing in mediation Day 3. Negotiation styles; positional versus interest based negotiation. Ethics – MII Code of Ethics and Practice. Demonstrations, role playing & simulations with individual coach-mentoring and feedback, small and large group discussion, case study, peer observation, short research assignments, trainer presentation/inputs. Role play practice forms a core part of the training. All participants will receive extensive individual coaching and mentoring on their skill development throughout the course. Role play feedback focuses on issues and skills from each of the 4 core assessment categories: Managing the Relationships. Participants are also required to complete a Learning journal, written assignment and prepare and present a short presentation on an area of relevance or interest. The Assessment for Certified Mediator level will be carried out by an External Assessor. The assessment requires the candidate being assessed to act as a mediator in a role play which must run for 50-55 minutes. The two disputant roles are played by two of the other candidates for assessment. The candidates will receive 3 role plays in advance of the assessment day to read. Each role play is filmed and candidates will receive a DVD copy of the role play they have mediated. their skills in this area. The first step in becoming a MII Qualified Mediator is to complete a MII Certified Training Programme. Hibernian Training Courses currently offers this programme in a standard 6 day format – see Course Content for programme objectives and content. This course is accredited by Mediators Institute of Ireland (The MII). You can become an MII Accredited Mediator. This training includes assessment for accreditation with the Mediators’ Institute of Ireland. Participants who pass this assessment will be eligible to register with the MII to practice as a “Certified Mediator”. With the introduction of the Mediation Bill next year, it is expected that only Accredited Mediators will be allowed to work in private practice. You will also receive pre-course reading, exercises and an eLearning module, 2 weeks in advance, to be completed before the course commences. €1,550 plus the MII Administration, Assessment and Certification fee of €250.